DVD Ghost is a very useful utility to make your DVD play/copy software restriction-free, and it also supports copy/backup DVD to hard disk. It is light on your system resources and resides in system tray. DVD-to-SVCD is a powerful tool to backup DVD movies to SVCD / VCD. You can backup DVD movie to SVCD/VCD with just one click. The backup can be played on most VCD/DVD Players. It supports most CD writers. Winavi DVD Copy can copy any DVD disc, including the ones with CSS-encryption. The copied DVD can even be played on DVD players with RPC2. 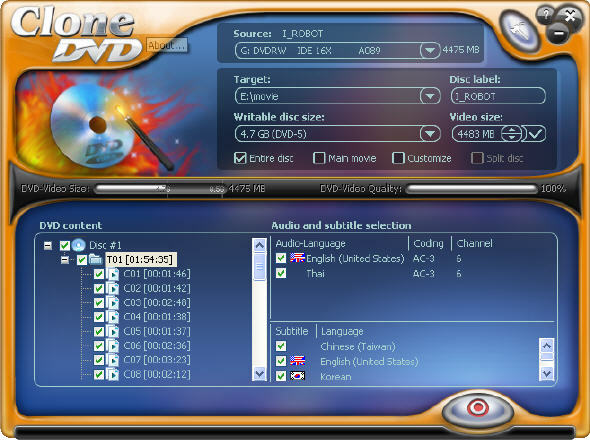 The copied DVD can be played using software such as Power DVD, WinDVD... and any other DVD software. 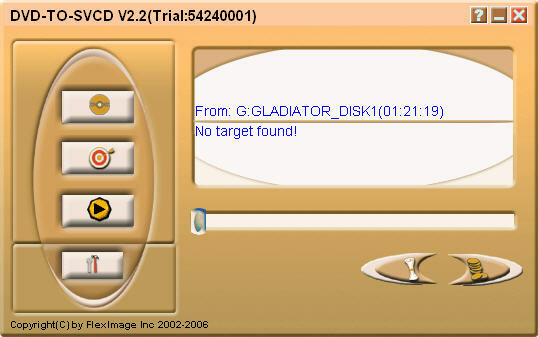 CloneDVD is leading DVD movie backup software to protect you against suffering DVD disc lost or damage. With CSS-free and region-free code built-in, you can freely backup copyright-protected (CSS-encrypted) DVD movie and all regions DVD movie. DVDPean Pro is the software DVD soundtrack ripper which can extract sound tracks from DVDs and save them as Mp3, Wma, Wav, Ogg, Ra, Ram, AAC, Mp4, APE, Flac, MPC file format.